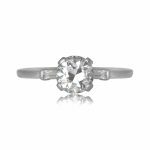 The Chicago Ring is a gorgeous Art Deco Era engagement ring that displays a lively old European cut diamond in the center. Milgrain-framed diamonds adorn the shoulders of the handcrafted platinum mounting. 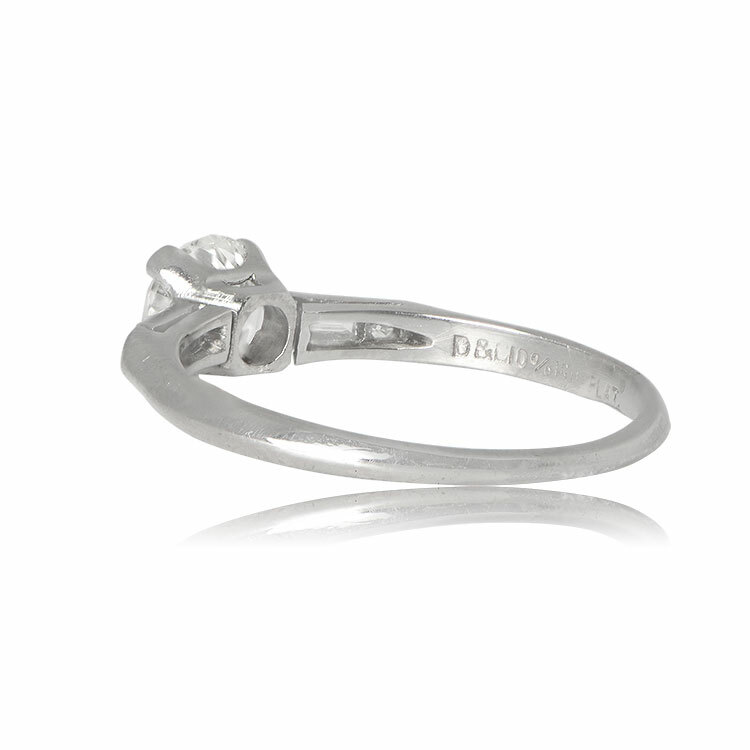 This antique ring was created during the Art Deco Era, circa 1920. 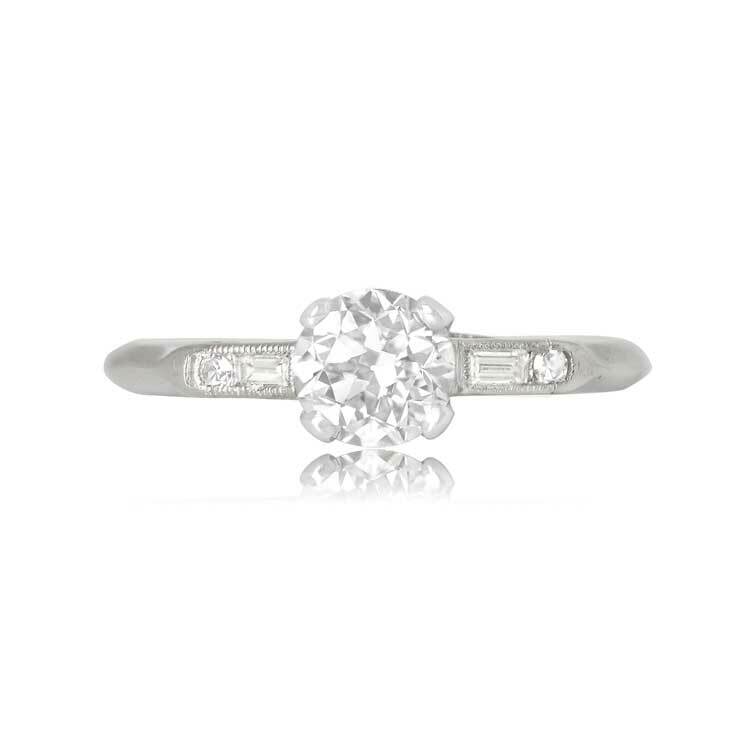 The center diamond weighs 0.79 carats, G color, and VS2 clarity and is certified by the GIA. 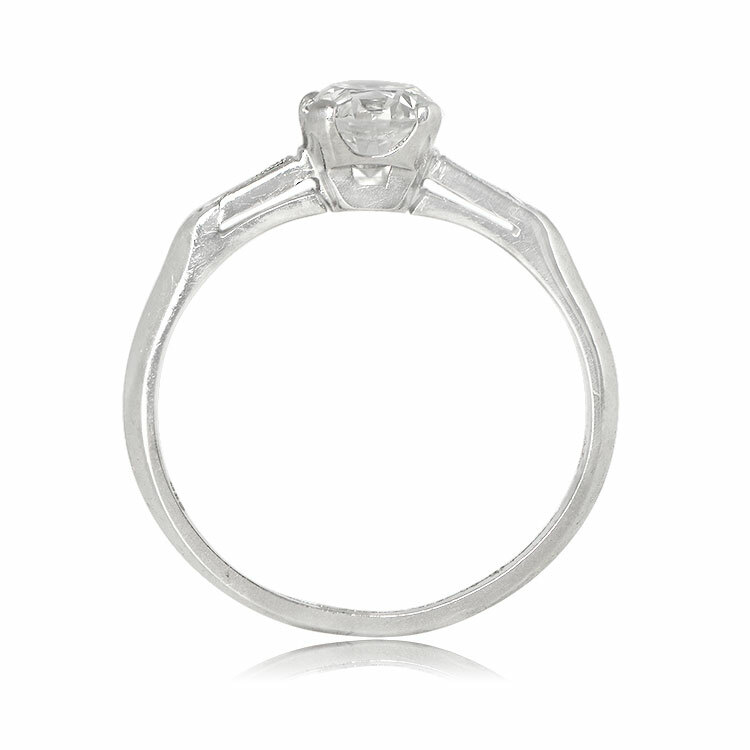 The known center diamond measurements are 5.77mm x 5.87mm x 3.70mm. 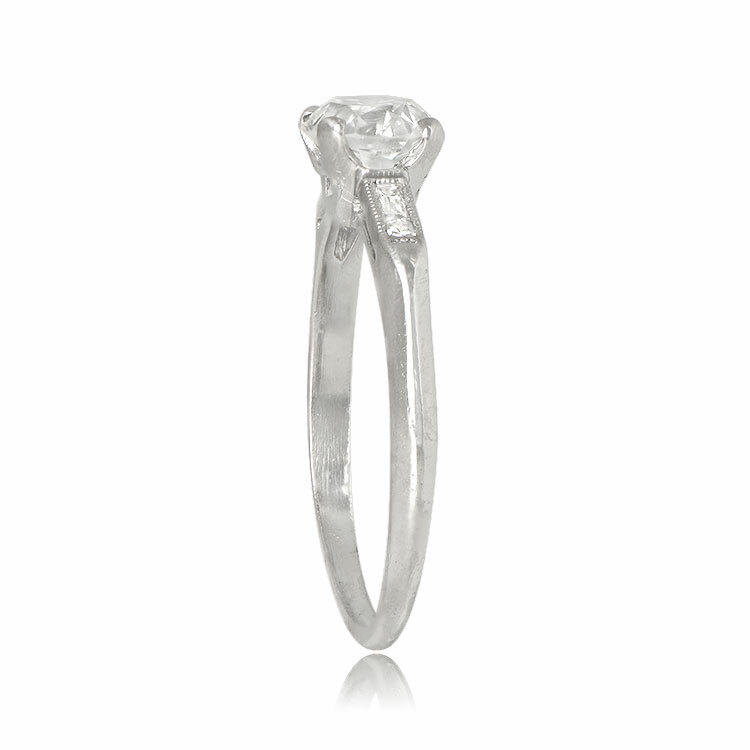 If you have any questions about the Chicago ring from our collection, please feel free to contact us. 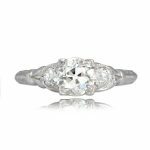 SKU: 12328 Categories: Old European Engagement Rings, Old Mine Engagement Rings, Vintage Engagement Rings - Contact us and request additional pictures.